What a fun campaign for Penguin books by Y&R Sao Paulo. This takes the insight that you can ‘lose yourself to the story’ when reading a good book and brings it to life in such a smart way. Because everyone sees it in their head slightly differently, the agency shot people on green screens (which we know allows people to edit in new backgrounds and or bodies onto images), to physically show the insight. On top of this smart art direction decision, they’ve also included some very smart design – great typography and borders that bring to mind old book covers. The idea is that in your mind, you get to create the perfect book cover, just by reading the book. Smart, fun and engaging – something all print advertising should strive to be! This entry was posted in Art Direction, Design and tagged Art Direction, Books, Penguin on May 30, 2016 by stellenboschacademy. VocalID is a company that helps develop computerised voices for people who are unable to speak and must rely on computers to speak for them (think of someone like Stephen Hawking). But where VocalID differs though, is they allow their customers to have unique voices to use, rather than the same computerised voice that most people rely on. This gives people a sense of identity and uniqueness. Those of us who can speak naturally all have different voices, so why should people who must rely on computers be any different? But how to bring this idea to life? Goldivox is an interactive video experience that recognises your voice and allows you to browse through the site by using your computer’s microphone. You follow Goldivox as she searches for the best voice for her. What an amazing way to show users how important a unique voice is to people! It’s fun and interactive and most importantly – forms an emotional bond between you as a user and the people in need. Great, great work! To help Goldivox find her voice – click on the link here. This entry was posted in Multimedia and tagged Goldivox, Multimedia, VocalID on May 27, 2016 by stellenboschacademy. When you’re a brand like National Geographic, with years and years of quality content behind you in the printed format, what do you do to update the way you can bring the natural world to life? In an increasingly connected online world, the printed word is becoming less compelling to people – especially when we can create experiences that are more engaging and illuminating than a magazine could ever be. Consider ‘A Bear’s-Eye View of Yellowstone’ by National Geographic. Rather than use words to tell us what bears are up to in Yellowstone National Park, they used location tracking and mounted cameras to give us a true ‘bears-eye view’ – something much more engaging and exciting than we ever could have hoped for just a few years ago. We really do suggest you take the time to browse the site as it is such a good case study of how to tell a story well, in an engaging, media rich way. It remains to be seen how other media and content producers will evolve to make use of these new tools we now have at our hands. The goal remains the same: To tell a compelling, interesting story, but we now have more tools than ever before to bring that to life. This is the ultimate challenge (and in fact the biggest opportunity) to the media designers of the future. If you’re interested in learning more about Multimedia Design and how to improve your skills, take a look at our Multimedia Design course – you could be making amazing experiences like this before you know it! This entry was posted in Multimedia and tagged A Bear's Eye View of Yellowstone, Multimedia, National Geographic on May 25, 2016 by stellenboschacademy. If you grew up in a certain time of the Internet (in fact what is now quite a long time ago, in Internet terms) you will probably remember playing Flash games in your browser to while away the time. We love this interactive browser game from Your Majesty – an interactive design and technology company – that uses great graphics and fun sound design along with a quirky tone to show off their skills. Just think of the possibilities: If we can create experiences like this as Multimedia designers, what more could be done to help brands, organisations or anyone to have an amazing interactive web experience – not just a website? The time to be in multimedia design is now! Have a go here and see if you can best the Cavalier Challenge! This entry was posted in Multimedia and tagged Cavalier Challenge, Gaming, Multimedia on May 23, 2016 by stellenboschacademy. It’s always exciting to see what brands do around big sporting events like the soccer world cup or the olympics. P&G, thanks to some great work from Wieden+Kennedy, Portland, has managed to capture the group that most often buys their products: Moms. And what would any athlete be without a supportive mother? This advert, based on the insight that it takes someone strong to make someone strong, is one of those beautiful, poignant and emotional ads that make film such an important medium (whether online or on TV). Have a watch below and get the tissues ready! This entry was posted in Art Direction and tagged Mom, Olympics, P&G, Thank you mom on May 20, 2016 by stellenboschacademy. Helps Tea is a functional tea from the United States. They have a really interesting difference than teas that just ‘taste good’. All of the teas from Helps Teas are in fact functional: They are formulated to help people achieve certain effects, whether it is to digest food better, breathe better or even just have a good rest. TDA_Boulder, an indepedent agency in Boulder Colorado, designed the packaging and Corporate Identity and we were drawn in by the geometric simplicity of the packs. Each has its own look and feel while maintaining a strong brand identity from variant to variant. Who wouldn’t want one of these up on a shelf in their kitchen? This entry was posted in Design and tagged Design, Helps Tea, TDA Boulder on May 18, 2016 by stellenboschacademy. Cape Town designer Daniel Ting Chong always has something great coming out of his studio and this corporate identity work for Mr Big Stuff is no exception. Mr Big Stuff is a fast food joint in Braamfontein, Johannesburg with a difference: All the indulgent, unhealthy meals you would expect with true attention to detail and quality ingredients. Daniel created the logo, look and feel and packaging for the restaurant – which is just as fun as you would imagine eating chicken and waffles (one of Mr Big Stuff’s signature dishes) would be! Mr. Big Stuff is an American fast-food style burger joint that makes crispy fried chicken the old-fashioned way, and serves it with waffles or fries. The branding has a simplistic, light hearted approach to the culture of classic american diners. Using a modular colour palette, the face of Mr Big Stuff changes through a range of collateral to represent the various happy / smiley customers. The next time you may find yourself in Braamfontein – don’t hesitate to visit, the food is great and the packaging is so nice you’ll want to take it home with you! 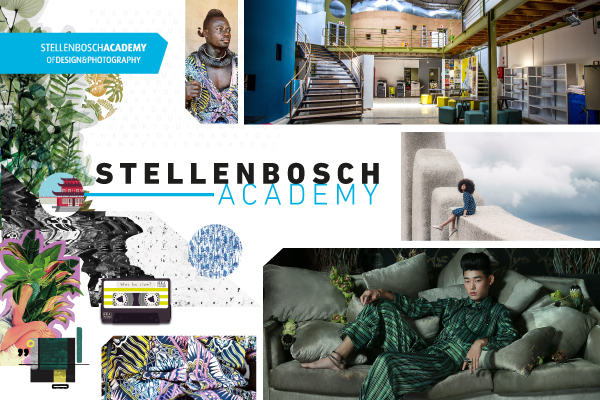 This entry was posted in Design and tagged Daniel Ting Chong, Design, Mr Big Stuff on May 16, 2016 by stellenboschacademy.